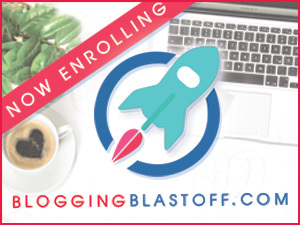 Want To Add Video To Your Blog? Here Is Your Complete Guide. – It's a Lovely Life! 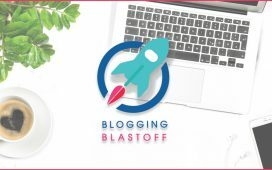 HomeBlogger TipsWant To Add Video To Your Blog? Here Is Your Complete Guide. 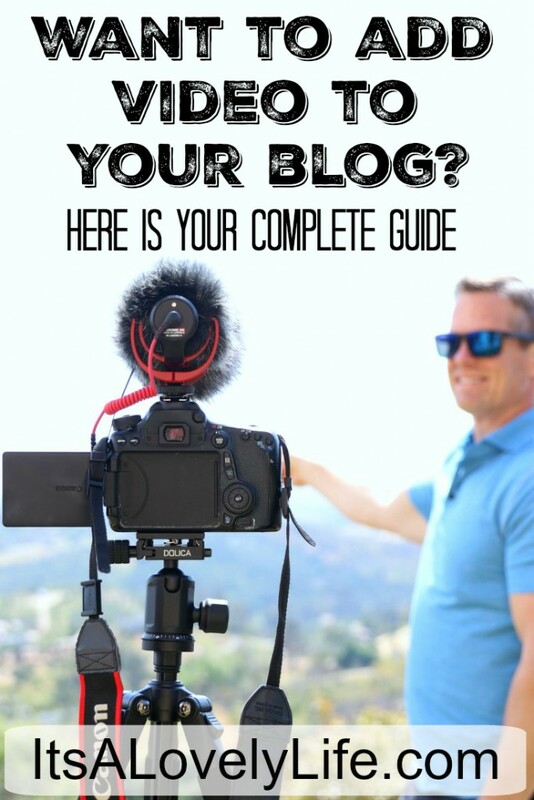 If you are a blogger, you probably know you should be doing video, but are you actually doing it? I'm sure you've heard all the talk about video gradually taking over the internet. Powerhouses like Facebook, YouTube, Instagram, and more have made video a top priority. 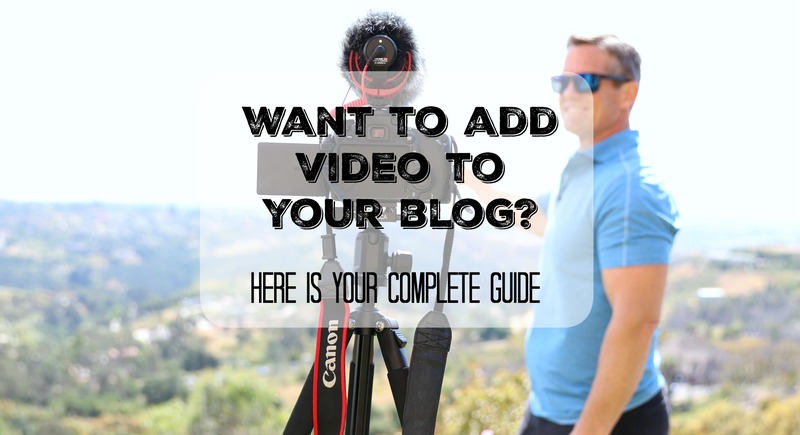 Many bloggers know that they need to incorporate video into their blogs and social media plans, but are sort of lost when it comes down to how to actually get that done. We were the same way! Over the past year and a half, we made it a big priority to add video to It's A Lovely Life and our social media accounts. 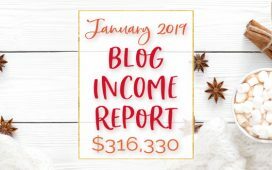 Since then, the results have been amazing for the blog! Video has increased our income substantially and has allowed us to experience opportunities that would not have been available to us without our video content. Also, we now tie in video to all of our travel pitches. Many of the resorts and destinations are much more receptive to our pitches since we are now promising to feature their properties in our videos. 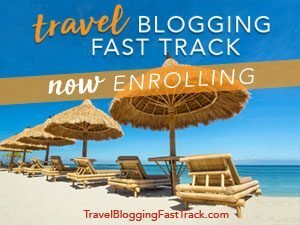 Video was a big contributor to our 150 days of travel last year to destinations such as: Aruba, Cancun (twice), Jamaica, a 19-day tour of Florida, all over California, Wisconsin Dells, Austin, Colorado Springs, Park City, and much more. It was rough going at first. I did not have any background in video editing and really had no clue what equipment to use. So, without further delay, let's get started! Heather used to do all the video filming and editing for It's A Lovely Life. I was busy in our real estate business, and I figured I didn't have time for that! Heather will be the first to admit that she was not that interested in video editing and it did not come easily to her. She harassed me for a couple of years to take over the responsibility for the video, and finally, I agreed to do it. In hindsight, I wish I would have started it much earlier. I have truly come to enjoy most all the phases of video….filming, talking on camera, buying new cameras (I love technology), and marketing the videos. The only area that I don't really love is the editing. I've learned how to edit fairly well, but eventually, I realized that it was easier for me and the finished product was better if I paid someone to do it for me. More on that later. My videos in the beginning were pretty rough… at least that is the way I look at them now. I used my Samsung Galaxy Note 4 to shoot the video and I purchased a new Ipad Pro to edit it (because someone told me this was the best way to edit video). While the Samsung Galaxy Note 4 shot some decent video outside, any video shot inside or at night was too dark and grainy. Also, no matter how hard I tried to keep steady, my video always ended up looking shaky. It was a big learning curve for me to edit video with the iPad Pro. I have never been an “Apple Guy” so there was a learning curve for me to figure out the iPad itself and also the editing software, iMovie. The free iMovie software has some restrictions and the features are pretty limited. It was also very difficult to get all my files from my Samsung phone onto the iPad. I figured out ways to do it, but it was always a struggle. If you are thinking about editing video on your iPad, I would think twice, especially if you are filming with anything other than an iPhone. I struggled with using the iPad for my video editing for 3-4 months until I finally threw in the towel and purchased a Windows based laptop with enough power to be a good editing computer. Basically you'll need something with a larger screen, a big hard drive, and plenty of memory. I got up early this day and walked around the whole resort taking shots of everything I could. It is best to do it this way without so many people in all the shots. Ok, so my camera work was a little suspect, but this video still is pretty popular and gets a decent amount of views on a regular basis. In some ways, I am a little embarrassed about the quality of this video compared to what I am producing now, but then I realize that it is all part of the process of getting better at something. I guess the video still has value so I shouldn't be too worried about it. Another thing I would like to note is that there is no talking on this video, and we are not shown either. It was easier for me to film it like that at the time and I really didn't want to talk on camera at first. But, I was beginning to realize in order to be good at video and more appealing to potential sponsors, we needed to include footage of us talking and find ways to bring out our personalities. In the summer of 2016, we began experimenting with shooting daily videos and vlogs. I wanted to do this because I knew it would make us all more comfortable in front of the camera and it would allow our personalities to come out. Daily video shooting and practicing my editing skills dramatically improved our videos. In late August we filmed the first Reese Family Vlog and my video progress took off. Back to video editing for a moment. At the same time we started the vlog, I began editing my videos on my Windows based laptop (Asus) and I purchased the editing software Corel VideoStudio X9. They now have a new version, Corel VideoStudio X10, but I haven't upgraded yet. I did a lot of research online and Corel seemed like a good combination of features, price, and ease of learning. As I pointed out earlier, I am not a natural at video editing, so I needed something that would work well with my ability level while still growing with me as my skills improved. I watched a bunch of their free training videos and I was able to figure out the program pretty easily. This was a huge upgrade from using iMovie on the iPad and my video editing skills improved dramatically. Also, it was SOOOO much easier to get the files from my various cameras (phone or GoPro) onto the laptop. You just take out the memory card from the camera and put it in the laptop to transfer the files….so easy (the way it should be). The laptop also has plenty of storage space for lots of video footage. After my editing started to improve, I realized that I needed a major upgrade in my equipment. I started the vlog using a newer phone (Samsung Galaxy S7), which was a little better than the Note 4, but still had a lot of limitations. The main issue was its performance in low light conditions. We filmed a nighttime event at Knott's Berry Farm, and while there was a lot of good action, I was really upset that so much of the footage was grainy and just not very good. So, I did some research and realized that many of the daily vloggers were using a Camera called the Canon G7X mark ii. It is basically a point and shoot camera that takes some really good quality video….especially in low light conditions. I went ahead and bought the Canon G7X and the quality instantly improved. My footage was not nearly as shaky and it just looked a lot more professional. Yes, it was something else I had to carry around with me everywhere, but it is really not that big and when I don't have it with me it feels like I forgot something important, like my wallet. I'm a little tough on my equipment and it has held up pretty well for me…..it still works at least…haha! In 2018, I started hearing about the Sony RX100 V as a great alternative to the Canon G7X. I was intrigued, so I bought one. Ever since then, I've been using it exclusively. I am so impressed with the Sony, especially in low light conditions. It has some impressive ultra slow-motion capabilities as well, but I haven't used that feature. At the same time, I decided to purchase a gimbal and I'm so glad I did. One of my big goals for 2018 was to step up the quality of our travel videos, and having the Sony RX100 V coupled with the Zhiyun Crane M gimbal did the trick. The purpose of the gimbal is to create smooth (not shaky) footage that has a cinematic effect. Having the gimbal took some getting used to, but now it is so easy to use and I think the video quality is super impressive. Doing a daily vlog is a little intense. Not only do you have to film some interesting things every day, but then you have to block out time each day to edit the footage and upload it to YouTube, Facebook, etc.. While I was able to get this done because I am pretty disciplined that way, Heather began suggesting that I look for someone that could help me with the editing. At first, I was a little skeptical of this. How would they know which parts to edit out? Would they edit as well as me? Would they be reliable? I finally took the plunge and wrote an add on the freelancer site Upwork to find someone that could edit my daily videos. In a few days time, I had a bunch of video editors respond to my ad from all over the World. The prices that were quoted to me ranged from $10 per video to $50. I immediately knew some of them wouldn't work, because I didn't want to spend $50 a day for a video. So, I began looking at editors that were in the mid-range on price. I uploaded all my raw video footage for the day to my Google drive folder labeled with the date I shot the video. I decided to test out 3 different video editors. I shared the folder with each of them and asked them to edit it so I could see what their style was like and if they would edit the conversations and action properly. After this test, I quickly identified one of the candidates that did an excellent job. His style was great, he seemed very responsible, and his price was in line with my daily budget. After I found the video editor, I have used him for every video that I do, and my life has become so much easier. Normally I send him the link to the Google Drive folder, and I have the finished video back the next day. I would say 90% of the time the edits are perfect and I don't request any revisions. Sometimes when I would like a conversation cut out or something added back in, I just message him back with my revisions, and he gets them back to me the same day. The best part of all of this is that the quality of our videos have improved dramatically since I brought him into the mix. He is a much better video editor than me! Having a video editor allows me to focus on tasks that I know will be more productive (make more money for us). GoPro Hero 7 – I've been using GoPros for awhile now, but I tend to use it most when we are doing some sort of action or watersport. I've used it Jet Skiing in Miami, a Segway tour in Riviera Maya, Snow Mobiling in Lake Tahoe, Sailing in Cancun, and swimming pools all over the world. This camera takes great wide angle shots, but the sound is not that great with the plastic case on. GoPro Session – This is a great little action camera that is small and very easy to use. You just press one button to turn it on and then one button to turn it off. I have used these horseback riding, swimming, on an airboat ride, in the ocean, skiing, and more. I do like it because it is so easy to use. A DSLR is great to have for filming some video, but it is really to big and impractical to take with you everywhere. If you have great lenses, and you know how to use them, you can get some incredible footage. Lens – This professional level lens is what we use for portrait type still photography and video. Heather loves this lens and never leaves home without it. Expensive Wide Angle Lens – This quality lens is excellent for video that is close up and also good for landscape footage. Microphone – We use this for the videos we take with our DSLR. Drone – This drone provides quality aerial video in 4k and has a very easy learning curve. We use it to take aerial videos when we are at resorts and at home. Tripod – This is by far the best tripod for the money! We take it with us when we travel and use it at home. Bendable Tripod – This one is great when you need a small tripod on the go. You can also wrap it around things to get some interesting shots. Wind Muff for Sony RX100 – One thing about the Sony RX100 is that you can hear a lot of wind noise compared to other cameras. So, you can use these to cut down on the wind noise quite a bit. 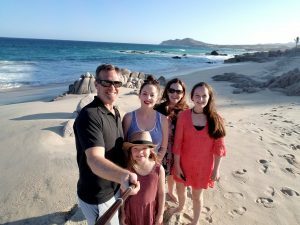 Selfie Stick – I know…make fun of me if you want, but these are great to have for group photos in a cool location or even attaching it to the GoPro. You can buy a really cheap one, or go for a little better quality like this one. Misc GoPro Accessories – I bought this kit of misc accessories and attachments and it has been great. There is a floating handle (perfect for any water shots), a chest mount, a headmount, and lots of different connectors. This was money well spent in my opinion. Backup Hard Drive – Yes, video takes up a lot of space, and as soon as my laptop gets close to capacity, I transfer the files here. I also backup everything to my Google Drive. Lighting – Good lighting is really important when filming…both for green screen work and any other shots that you setup indoors. These inexpensive lights have been great for us. Ring Light – These are great for staged shots, live videos, and more. Memory Cards – I've had really good luck with these Lexar cards. They seem to be the best deal I could find. Drone – About a year ago I got the DJI Mavic Pro Platinum Fly More Combo and I love it! There are big advancements in video quality, safety and ease of flight. I take this with me whenever I can on vacation destinations. Sometimes it's not possible to fly the drone in certain areas, but when you can, sometimes the shots can be amazing (as seen in this Hawaii Video)! Ok, so I know it seems like I really have a lot of video equipment….and I do! But, you really don't need all this stuff to get started. The important thing to keep in mind with videos is that you use the camera that you have on hand. Many of our vlogs were shot with a combination of cell phone, GoPro, Canon G7X (now the Sony RX100V), and the drone. I'm sure a lot of people can't really tell the difference between the quality levels. Daily vlogs are fun but also a little exhausting. We no longer film daily videos and only shoot when we are doing something fun or exciting like our travels or attending events. We shot daily for about 6 months and it was a great opportunity for me to learn and get better….I would not take that back! Now all of us in the family are very confident when the camera comes on and I know how to shoot so much better. It is awkward talking into the camera for most people at first. But, this is a learned skill just like anything else. If you make a mistake….which you will, you can always edit it out. Do not fear messing up, because everyone does it. Try to envision yourself talking to a friend or family member when talking on camera. Let your personality shine through! Just get started and you will be shocked at how good you get. If you can get proficient with video, you should be able to get some good opportunities. That will hopefully translate to a good payday and/or some awesome travel opportunities. Well, that's about it. I tried to cover everything, but if you have any question I am happy to answer them. Fire away in the comments below! I’ve wanted to start adding food videos to my blog, but I can’t ever record I and edit it without it looking awful. I needed this guide. Food videos are really hot right now. Definitely jump right in there and get going. As you saw above, it just takes some practice. Great advice!! I love your tip about shoot with what you have. At this point I am working with an iPhone. At some point I may upgrade but I want to go with what I have and jump in and start practicing now!! (Maybe not daily!) It is so strange to me to talk while I’m filming but it is my goal to try at some point in the next few videos I do. Thanks Leah! It was really weird for me at first too talking to the camera. Now I actually look forward to it because it is pretty fun. iPhones are actually pretty good for video especially outdoors or really well lit spots. 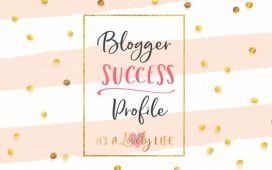 SO… I have yet to dive into video blogging… I know, I know, I absolutely need to if I want to succeed as a blogger but.. I’m so camera shy..! Now they have these “LIVE” ones and I can’t even imagine doing one live! Hi Katriza! You can do it….just start practicing. You will begin to feel comfortable over time. Thank you so much for these tips and tutorial!! I am alittle bit intimidated by making and adding a video but I will try it next month. You’re welcome Peach! It’s really not that hard. You will get better the more you do it. Thanks for all of the info on making videos! What do you use while you’re driving in the car? Where do you attach it?